There’s a small detail in Harry Potter and the Deathly Hallows which people have seemingly missed – and it’s actually a pretty big deal. Severus Snape – good guy, bad guy, bit of both? Well, there’s a part in the film which shows a pretty heroic side to the raven-haired potions master. 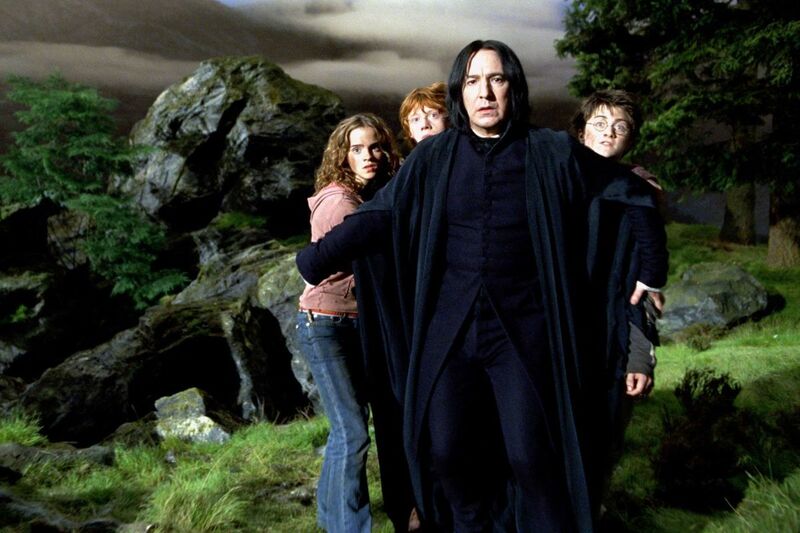 Snape – portrayed in the film by the wonderful, late Alan Rickman – and his loyalties remain a mystery to many. Early on – and for most of the Harry Potter series – Snape appears to be Harry’s nemesis, yet Hogwarts headmaster Albus Dumbledore insists on trusting Snape. Then, when Snape dies at the hands of Voldemort in the final chapters of the seventh book, his story is revealed: As a teenager, Snape was a close friend of Harry’s mother Lily and he turned on Voldemort when the Death Eaters killed Lily and husband James and then tried to kill Harry. It’s at this point Snape becomes more layered, with Rowling describing him as ‘a gift of a character’. Yet in Deathly Hallows: Part Two, there’s a moment in the film you might have missed if you weren’t paying full attention. If you’ve seen the film, you’ll be aware Snape battles Professor McGonagall before he dies. McGonagall fires a spell at Snape, who blocks it and appears to direct it at the Death Eaters behind him, Alecto and Amycus Carrow, which in turn, assists Harry and the Order members. Harry Potter author J.K. Rowling describes Snape as ‘all grey’, making a very valid point on Twitter. 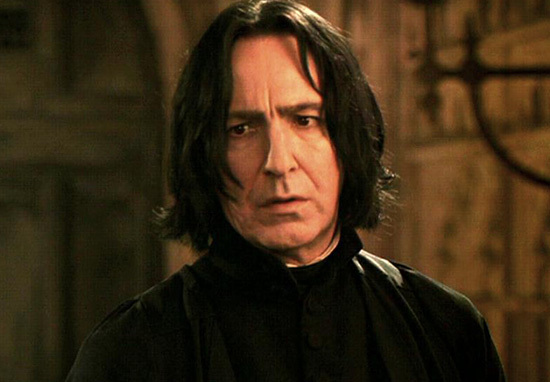 Fans can’t seem to agree and some don’t even know what to think of Snape’s character at all. He is one of those characters I don’t really know how i feel about. Its kind of odd I cant explain it… I like him but I don’t. On January 14, 2016, Snape actor, Alan Rickman, died at the age of 69 in London, following a short battle with cancer. He’d been unaware of the severity of his illness until weeks before and only told his family and friends the tragic secret, keeping it out of the public eye. Rickman had truly brought life to Professor Snape in a way no-one else really could have. After he completed his work on the films, Rickman wrote a letter which Empire Magazine published on Twitter. On the screen were some flashback shots of Daniel, Emma, and Rupert from ten years ago. They were 12. I have also recently returned from New York and while I was there, I saw Daniel singing and dancing (brilliantly) on Broadway. It is an ancient need to be told in stories. But the story needs a great storyteller. Thanks for all of it, Jo.